Students perceived as different from the dominant peer group. These students have body sizes or outward appearances that set them apart. Race and ethnicity different from the dominant peer group may play into this perceived difference. Students seen as inferior or "less than." These young people are perceived to be fragile and unable to protect themselves from aggressive behavior. Students perceived to be sad and/or nervous. These students also may suffer from a poor self-image and seem unsure of themselves. Students socially isolated, appearing to have few friends. These students may not be well-liked by their peers. Students having difficulty in group settings. These students appear uncomfortable in social situations. Students identified as learning differently. This includes students with learning disabilities. The US Department of Education's stopbullying.gov site highlights two groups that are at increased risk of being bullied. 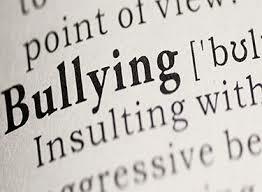 First, the LGBTQ population is often the target of bullying behavior. Schools and communities alike must work together to provide safe space for these students where they are protected from harm. The second group includes those with disabilities and special health needs. Recently, bullying behavior in school has been aimed toward those who have received accommodations for life-threatening food allergies. Again, schools and communities must partner to create environments where these students are safe. 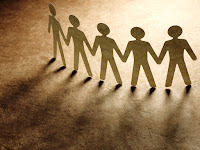 Because bullying cannot flourish in safe and caring environments, we must do whatever we can to strengthen these environments for all of our children, especially for those students and groups who have the greatest risk of being harmed. number one - protect them from harm.